Alaska will see a reduced salmon allocation under a proposed salmon treaty deal with Canada. That’s according to a proposed 10-year extension of the Pacific Salmon Treaty. 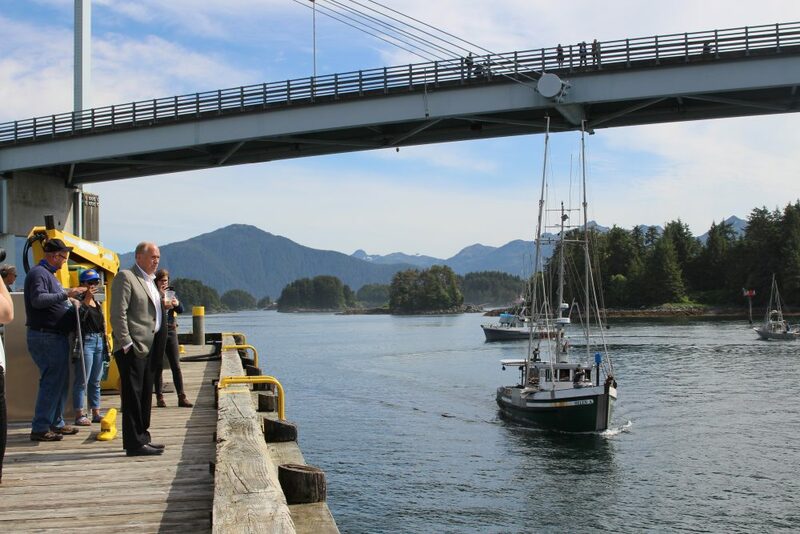 For more than 30 years, the Pacific Salmon Commission has allocated salmon stocks shared between the U.S. and Canada. It’s re-negotiated every 10 years, and the latest version expires at the end of 2018. Formal talks finished in mid-August. Now, the numbers are out: Alaska will accept a 7.5 percent reduction, compared to 12.5 percent for Canada. In Washington and Oregon, the cuts range from 5 to 15 percent. “There’s some that would consider it to be winners and losers and I think in this case, I think everybody was equally disappointed,” said Alaska Fish and Game Deputy Commissioner Charlie Swanton, who headed Alaska’s delegation. It’s unclear just what the reduction will mean for Alaska’s fisheries; a lot will be up to the Board of Fisheries when it meets in March. But it will certainly mean less fishing time and other conservation measures. But Alaska’s troll fleet – which has seen historic reductions in its lucrative chinook catch this year – had urged delay. Commercial fishermen, most of them trollers, held rallies in recent months urging the governor not to commit to more cuts. Some appealed directly to President Donald Trump, calling it a bad deal for Alaska. Gov. Bill Walker said he’d met with treaty critics. But a one-year delay he said he’d floated during a recent visit to Washington D.C. wasn’t feasible. Sitka troller Caven Pfeiffer said that’ll be remembered come November. Chinook salmon returns are at historic lows. Swanton said federal biologists warned that the existing treaty is inadequate to conserve threatened fish species. In other words, it could invite federal intervention into the state’s fisheries. The ink’s not dry yet. The deal is still pending legal review in Washington and Ottawa. Only then can it be formally ratified by diplomats from both countries.